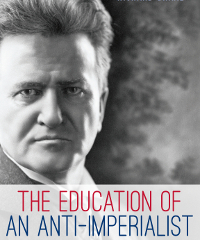 On 11 January 2014, Lewis Gould reviewed my book, The Education of an Anti-Imperialist: Robert La Follette and U.S. Expansion, in The Wall Street Journal. One of the chapters in particular, “La Follette Discovers the Middle East,” inspired claims and charges by the reviewer that I answered in a letter published by the newspaper on Wednesday, 29 January. You can find the letter here. There is much more to be said about the neoconservative fervor and historical inaccuracies in this review. The newspaper’s 300-word limit for letters to the editor, however, limited the range of my rebuttal. Gould’s comments about the Middle East reflect a cast of mind that sees anti-Semitism, or—in my case—a tolerance of it, in questioning attitudes about the status quo there and the historical process leading to it. It is easy to see why Gould became so upset with my critical interpretation of the Middle East decisions made by the victors after the First World War: the status quo in the region has been such a brilliant success down to our time. What did tyros of that distant and yet completely contemporary era, such as T. E. Lawrence and Gertrude Bell, know in warning of the disasters for the world certain to ensue from a peace that made perpetual war a certainty? To see the book’s page on Amazon, click here. For Paul Buhle’s review of the book in The Wisconsin State Journal, click here. and at IndieBound Independent Bookstores online.